You are using an old browser that doesn't support all the features necessary to view this website correctly. Please consider updating your software. The Oreo maker will launch an innovation hub 'SnackFutures' next month that will invest in snack startups through partnering with early-stage-entrepeneurs. 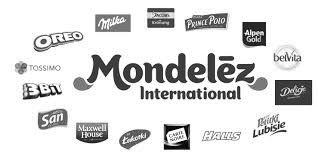 Mondelez expected the platform to contribute $100m to its revenue growth by 2022. According to Tim Cofer, EVP and chief growth officer, SnackFutures aligns with one of the company's new growth strategies - "discovering and unleashing innovative ideas in snacking that will delight consumers." Cofer, who will lead the venture, noted the program will "capitalize on new trends, and mobilize entrepreneurial talent and technologies. SnackFutures will unlock snacking growth opportunities around the world that respond to emerging trends and changing consumer preferences." He added, "For the program's first innovation projects, SnackFutures will seek entrepreneurs, suppliers, nutritionist, food and technology engineers and other potential partners to collaborate in three key areas: Well-being snacks and ingredients, premium snacks and ingredients, and digital platforms and capabilities." However, different from some other CPG brands' own venture arms that solely focus on investing in external companies, SnackFutures will also help invent new brands and businesses under Mondelez, and reinvent its small-scale brands with 'large-scale potential' noted Cofer. Mondelez will update information on its entrepreneurial partnerships via www.snackfutures.com in the near future. Launching SnackFutures is only one of Mondelez's latest tactics to respond to emerging snacking trends around the world. CEO Dirk Van de Put recently announced during the company's Q3 earnings call that Mondelez will create 13 global geographic business units on January 1, 2019, with each of them reporting to one of the company's four regions: North America, Europe, Latin America; and Asia, Middle East & Africa (AMEA). He noted: "This move clarifies accountabilities and we are aligning our incentive structure to drive greater ownership of local business results. We believe this change will enable volume-driven top line growth and absolute profit dollar growth." "With the roll out of the new structure in the regions, we will create a more agile company that can react faster to local consumer preferences without losing the benefits of our scale and global expertise in marketing, manufacturing and innovation," added Van de Put. © Copyright Arville 2019. All rights reserved.